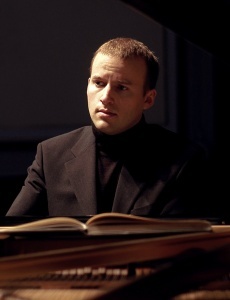 Pianist Daniel de Borah… gave his all to challenge and entertain. ENJOYING a piano recital for the technical ability of the artist and the challenge of the music is very satisfying for an audience. Daniel de Borah’s recital did just that – brilliantly. It decisively underscored de Borah’s very impressive credentials as a pianist in global demand. There were three selections: Sergei Prokofiev’s “Sonata No 9, Op 103” (1947); Johannes Brahms’ “Four Pieces for Piano Op 119 (Klavierstücke)” (1893); and Robert Schumann’s “Kreisleriana Op 16”, subtitled “Fantasia for Piano” (1838). The Prokofiev was a particular challenge. Far from having much structure, this composition, while technically very difficult, seemed more like a grab-bag of random thoughts spread across four unsystematic movements. Daniel de Borah turned what could have been confusing tedium into beauteous life, through his marvellous expression and deep sensitivity. That he played it, indeed the entire program, from memory made the performance even more special. The Brahms and Schumann works, written at either end of the Romantic period, but with a surprising connection – Schumann’s wife, Clara – were challenges, too. Brahms’ mixes introspection with boisterousness and Schumann’s has a dark, even tragic side to it. Once again, de Borah beguiled his audience with his intellectual approach and superior keyboard prowess. The audience demanded several curtain calls for Daniel de Borah’s extraordinarily uplifting and rewarding concert. But he denied them an encore, simply saying: “I’m pooped.” Fair enough. He had given his all to challenge and entertain.